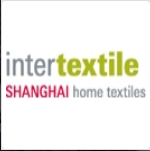 Intertextile Shanghai Home Textiles is Asia's leading home textile event which is held on August 2019 in Shanghai, China. It is a dynamic platform for industry professionals to source and to gain design inspirations through the conveniently structured product displays and the fringe programme. In 2018, 1,040 exhibitors from 26 countries and regions, 41,000 visitors from 100 countries and regions joined the event. If you can't find what you need on these pages, the Intertextile team is ready to answer your questions!